We have been crafting it up this week in the Ring household and I’d like to share a few of what we created! 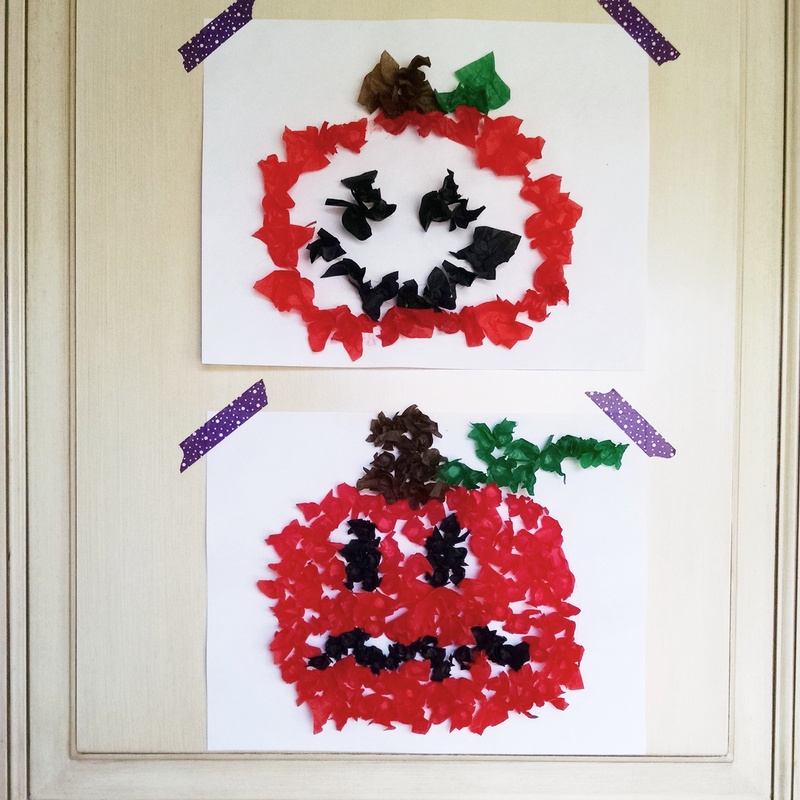 Both crafts are easy to do with little ones and can be done at your own speed. 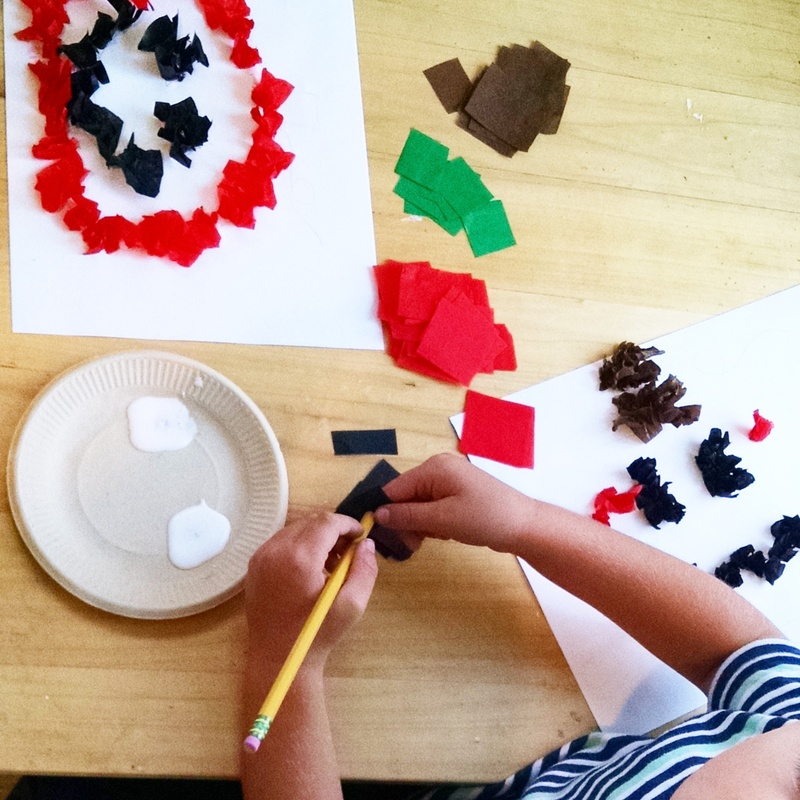 First up are tissue paper jack-o-lanterns. 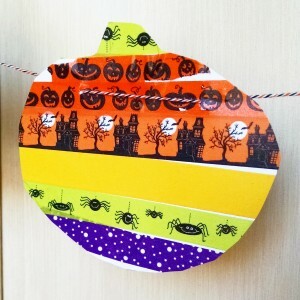 What I love about this craft is that kids can personalize their pumpkin! My 3 year old Alice wanted to do only an orange outline as it took her longer to grasp the square tissue to glue on her page. My 5 year old Patrick wanted a spooky face and added a long vine to the top. I started prepping by cutting a few tissue sheets into small squares. These do not have to be perfect as they will get scrunched up by little fingers, so don’t stress about even edges. Each kiddo drew a face onto paper as I cut. Take the square tissue and place it at the bottom of the pencil. Scrunch up the tissue as much or little as you like, and add a dab of glue before attaching it to your jack-o-lantern. Little fingers can take a bit of time creating each piece because they are using those fine motor skills! 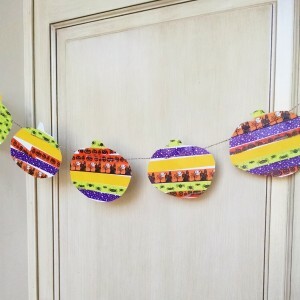 Next up is a washi tape pumpkin garland. 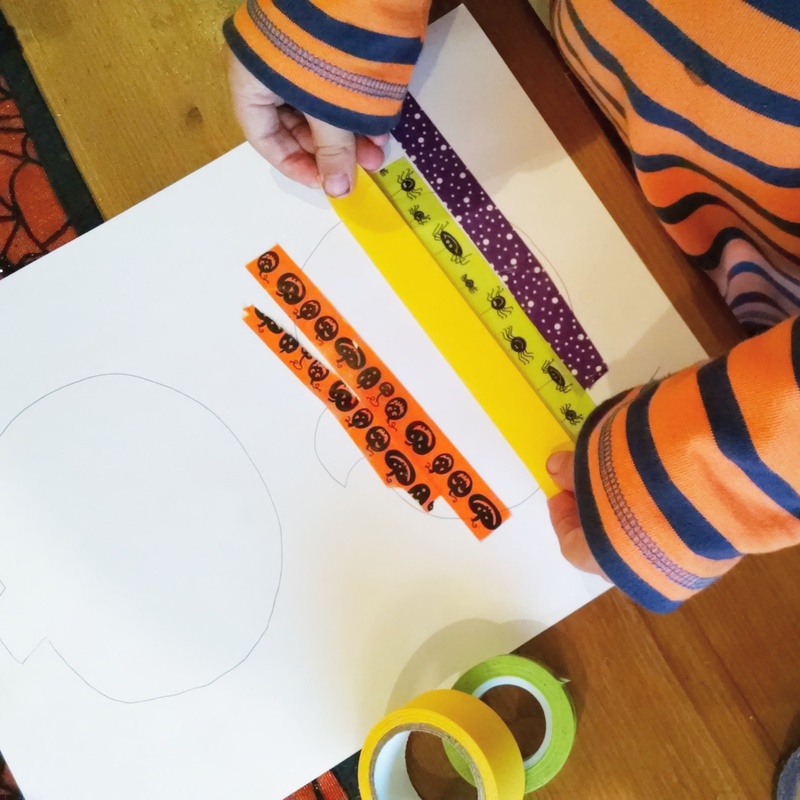 I gathered halloween washi tape, paper, pen, scissors, and halloween twine. First, I drew two large pumpkin shapes on each paper. The kids grabbed tape and cut in lines larger than what I drew. That way when you cut the pumpkin shape, there’s not a lot of white on your garland. 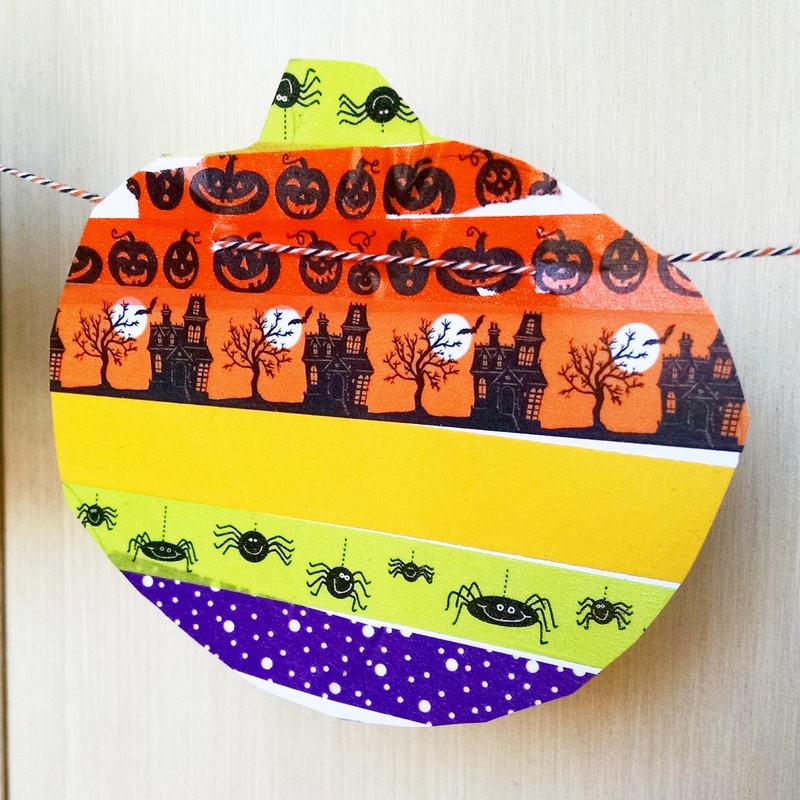 Once the tape is on, cut into your desired pumpkin shape and add two small holes to string the twine through. Below are affiliate links to some of the craft supplies I used. Have fun creating! 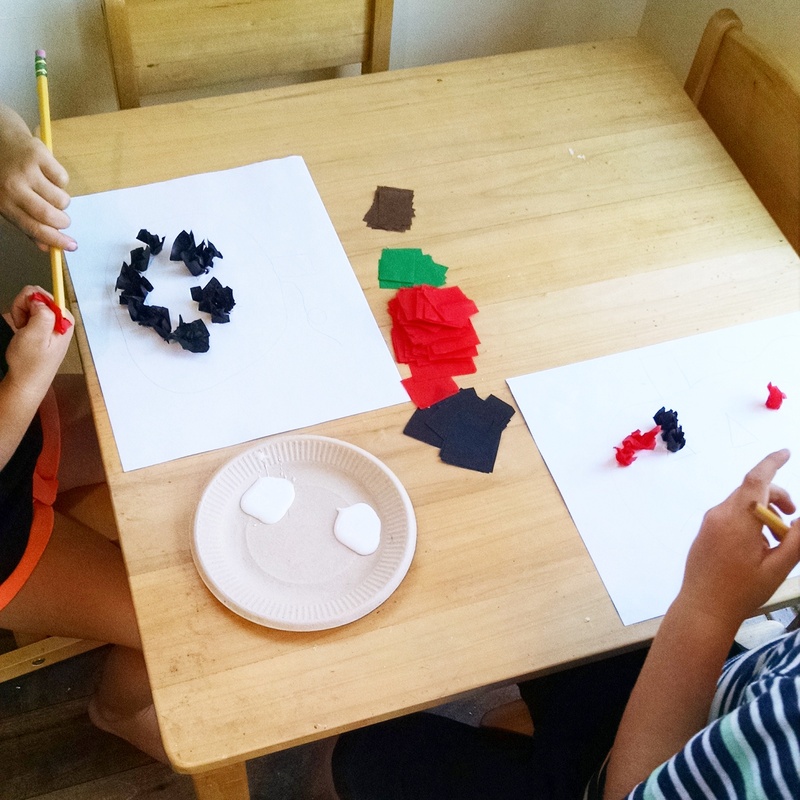 This entry was posted in Crafts on October 24, 2014 by Ring Master Mom.